It’s important that your drain lines are clear and clean. But if they start to get dirty or clogged, it can be a challenge to clean them up. After all, most people don’t have a brush on hand that is dozens of feet long and can get into the intricate twists and turns of the pipes! 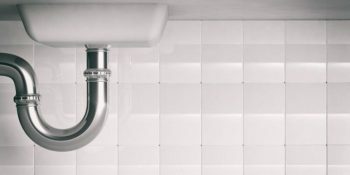 If you’re inexperienced with plumbing, the whole thing might seem like a big pipe maze. But not to the experienced plumbers at John’s Plumbing & Pumps, Inc.
We have the right tools and expertise to handle any drain cleaning in Puyallup, and we’ll get to work right away so you don’t have to wait on us for long. 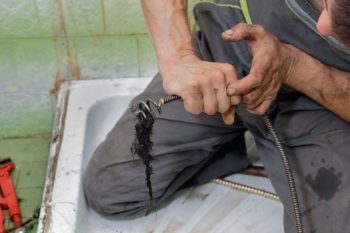 Do I really need my drains cleaned? Professional drain cleaning is one of those things that might not seem to need a professional’s touch, but is crucial in some instances. Slow drainage. It’s irritating when you turn on the faucet only to have it take several seconds or longer to drain once you shut the water off. One of the reasons that this can happen is that your drain is dirty and needs to be cleaned. Water backing up. If you have clogged toilets more frequently than normal or water backs up into your sink or bathtub, it’s a serious issue. This water that backs up may be mixed with sewage, and if it’s stagnant, it can be even more dangerous than normal. Bad odors. Fats, oils, and grease can accumulate over time, but can also build up fast if you pour something down the drain such as cooking grease. These and sewage that’s stuck in the pipes can start to cause a foul stench to appear near your drains, and if it doesn’t go away, you may need a professional plumber to come by. If you think that expert drain cleaning might be right for you, call us and we’ll come by and take a look. We might find that you have a localized problem that can be solved right away, or we may uncover other problems you had no idea were occurring. And catching these early can save you a major headache and expense in the future! For drain cleaning in Puyallup and any other plumbing issues you have, give us a call or send in a contact form right away.